Chippewa Falls is hoppin’ this week with a new look and a reason to check out local shops. 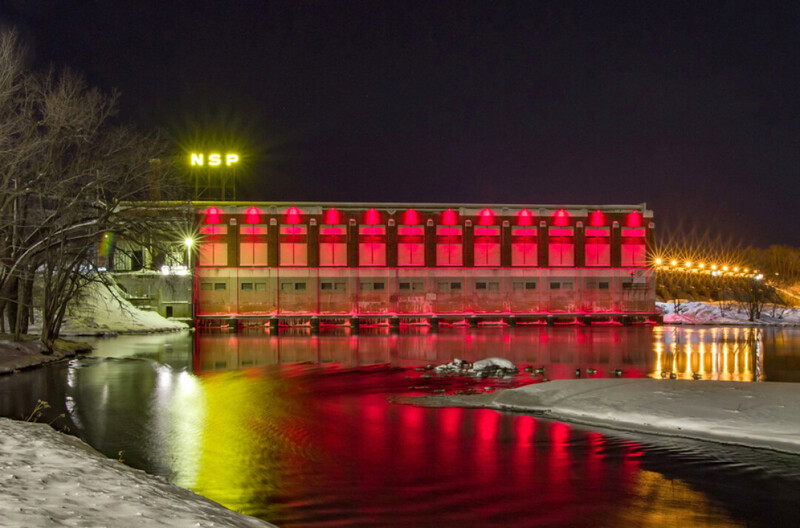 Look out to the Chippewa Falls hydro dam from Riverfront Park as the sun sets to watch a new LED display burst into life. Xcel Energy installed a multicolor display to light the water, and the city lit up Thursday, Feb. 28, with the installation’s inaugural lighting as part of Chippewa Falls Main Street’s Paint the Town Red event. The lights will be coordinated with local events throughout the seasons. The installation is part of Chippewa Falls’ sesquicentennial celebration. Participants of Paint the Town Red are also hosting a scavenger hunt this week. Pick up an event brochure at the Chippewa Falls Main Street office (514 N. Bridge St.) or any participating location to find out where to find the lyrics to a song. Once explorers have found all of the lyrics, they can submit the completed brochure by Friday, March 8, to enter to win a prize.